The advantages of a digital navigation payload, a technology singled out by both the House and Senate for $20 million worth of research support, appears to be a key factor in the Air Force’s search for a new GPS III contractor. 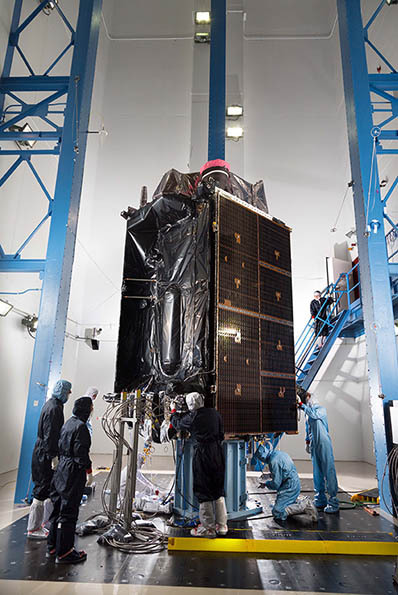 The digital payload “is a direct complement to the Production Readiness Alternate Sources Sought released in June,” Air Force officials said in an emailed response to questions about the technology and how it fits into the ongoing search for new GPS III suppliers. As design details emerge, the appeal becomes clear. If developed successfully, this approach, which is only now becoming technically feasible, has the potential to eliminate internal interference problems, give the Air Force a mechanism to more easily add signals down the line, and, perhaps most importantly, save the Pentagon money. Technical problems with the current navigation payload have delayed the GPS III program significantly, angering military program managers. This spring the Air Force announced an effort to explore whether other contractors could provide an alternative payload — opening the door to recompeting the contract and perhaps even shifting the Air Force’s overall strategy. One possible fix, which has captured the attention of both lawmakers and defense officials, is an all-digital navigation payload. “The current GPS III Mission Data Unit, which is the brains of the Navigation Payload, is analog,” explained Air Force officials. 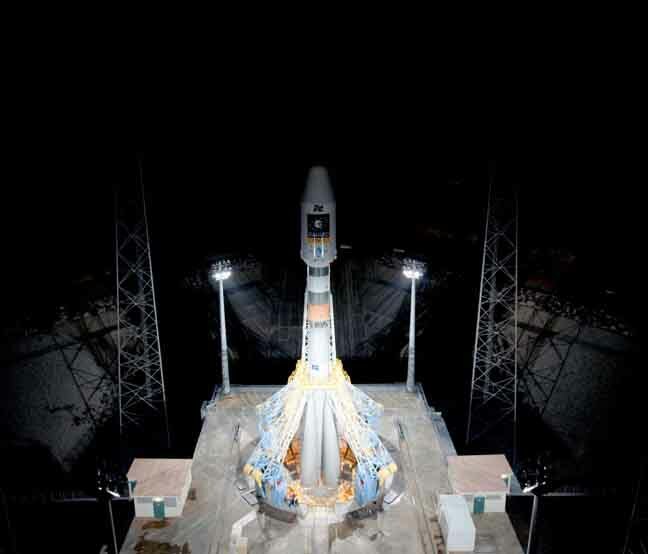 A digital design would y avoid the radio frequency interference or signal crosstalk that was the biggest contributor to the GPS III navigation payload delays, they said. Crosstalk occurs when an analog signal broadcast on one circuit couples some of that energy onto another circuit. The GPS III navigation payload now being built works by broadcasting a set of analog signals that, added together, give the final desired signal, explained a GPS expert, who spoke with Inside GNSS on condition of anonymity to be able to discuss the matter freely. A digital payload would broadcast the combined, final signal from the beginning of the signal-generation process, avoiding the crosstalk and other analog-related problems such as power loss. Advances in technology, however, are changing that, said the expert. “There’s a feeling now that the speed of the electronics, the digital portion which is getting up in the RF [radio frequency] band, is going to give us a lot of leverage on making something a lot less expensive,” the expert said. Reducing the overall challenges posed by the navigation payload could pay off for generations of future GPS satellites. “For every block of GPS satellites over the past 40 years, the primary risk has been the navigation payload,” Air Force officials told Inside GNSS. Additionally, they said, a digital waveform generator potentially enables the upgrading of signals after a satellite is launched. This permits the addition of new navigation signals without the need to launch new satellites to bring that capability online. “There is not a point design for the new navigation payload,” the Air Force said, adding that they are still conducting research on industry capabilities. They are weighing whether a viable alternate source exists with an alternate navigation payload capable of supporting a first space vehicle launch no later than the first quarter of Fiscal Year 2013 (1QFY23). An acquisition strategy decision will be made at a Defense Acquisition Board meeting that is currently planned for later this year, they said. The officials noted that the GPS Directorate is also working with the Air Force Research Laboratory regarding potential options for a Broad Agency Announcement in FY15 for an On-Orbit Reprogrammable Digital Waveform Generator, a key component of the navigation payload. The Senate Appropriations Committee envisioned a digital payload in which industry as well as the Air Force would invest. Although Boeing declined to comment for this story it has been investing its own money into research on such a payload. “We are continuing the game on GPS. . . . We don’t want to get out of that business. We are looking at alternate architectures for the GPS payload of the future — digital alternatives at how you do GPS in the future,” Craig Cooning, then vice-president of Boeing Space and Intelligence Systems, told Aviation Week two years ago.